Engaging content. That is what every marketing department wants to produce these days. Let us be an extension of your team and we'll assist you in creating dynamic and consistent video content. Already have footage and you just need help piecing it together? After the action, it’s time for post-production. Our post-production services include Editing, Color Correction, VFX, Original Scores, Voiceover, 7.1 and Surround sound mixing. 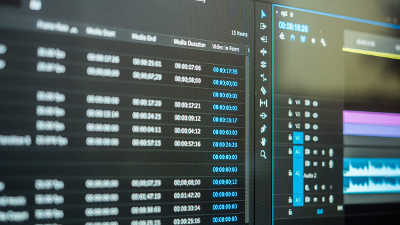 Whether it’s for a TV Commercial or a feature film, we’re equipped to handle the entire post production process for you.